Smashwords: Is Kindle Unlimited Bad for Authors? As long-time readers of this blog know, I was initially skeptical of the prospects for a "Netflix of ebooks," but I began to see the light as I examined the emerging business models of the subscription services. Now, several months into our relationships with Scribd and Oyster, I'm pleased to report these two ebook subscription services are the fastest growing retail channels at Smashwords at a time when industry-wide ebook sales are looking anemic. I've been speaking out against KDP Select ever since they launched it in 2011 when I wrote my post, Amazon Shows its Predatory Stripes with KDP Select. Amazon partisans have accused me of being an Amazon hater for my criticism of KDP Select, but that's simply not true. I admire Amazon. Jeff Bezos and team are freaking brilliant. They deserve massive kudos for catalyzing the rise of ebooks, and for changing the lives of indie authors. But for all of Amazon's good deeds, it does not mean we indies should kiss their feet unconditionally. Their business methods are not beyond reproach. We should encourage a healthy debate about Amazon's practices and how they can do better for authors and readers. I can admire Amazon yet still oppose exclusivity. We should also recognize when Amazon's business interests don't align with author interests. Authors must weigh the benefits of KDP Select's many enticing features against the alternative benefits of broad and diversified distribution. How do you measure what you'll lose from either decision when missed opportunities are immeasurable? And is it the indie author's responsibility to support Amazon's competitors? Should an indie author feel guilty for giving KDP Select a try? I don't envy authors who must make these decisions. Amazon forces these difficult decisions upon authors. It can take years to build readership at a retailer. Authors who cycle their books in and out of KDP Select will have a more difficult time building readership at Amazon's competitors. Millions of readers prefer shopping at retailers other than Amazon. These other retailers operate in multiple countries (iBooks, for example, operates in 51 countries). These country-specific stores represent unique micro-markets of captive audiences not reachable via Amazon. Any time an author goes exclusive, they risk alienating fans who prefer shopping at other retailers, and they miss the opportunity for serendipitous discovery by new readers at other stores. They risk missing those times where lightning strikes and their books break out at different retailers at different times, often for reasons that can't be identified. With KDP Select, Amazon rewards authors who go exclusive and disadvantages authors who do not. That's right, they're punishing regular KDP authors who don't go exclusive by denying them access to special sales and discovery tools like free promotional pricing, Kindle Unlimited and Kindle Owners Lending Library. These are great tools so it's a shame Amazon doesn't make them available to all authors without restriction. Amazon is creating a caste system within the Amazon store. Also worthy of note, as revealed by Publishers Lunch, it appears as if Amazon is paying traditionally published authors more for their participation in Kindle Unlimited than they're paying indie authors. No other retailer creates such artificial restrictions for indie authors. Smashwords-distributed authors, by contrast, enjoy unlimited free pricing, greater pricing control, ebook preorders, broader global distribution and all without the handcuffs of exclusivity. It's unfortunate Amazon is restricting access to Kindle Unlimited. It's unfortunate they're denying their customers access to the books of all indie authors who would otherwise participate if not for the exclusivity requirement. It's unfortunate that Amazon forces indies to make such a choice. For indie authors who feel trapped in KDP Select, today's announcement offers you a silver lining: you now have an out. Because Amazon automatically opted all KDP Select authors into Kindle Unlimited, they're giving KDP Select authors the ability to immediately withdraw from KDP Select without waiting for their current three-month term to expire. The instructions, which are listed at https://kdp.amazon.com/help?topicId=AA9BSAGNO1YJH&ref_=pe_446610_120662130 , advise authors to contact their support team to leave KDP Select. If you've got indie author friends who are in KDP Select, now might be a good time for them to cast their vote against exclusivity. KDP Select would not exist were it not for the ongoing support of indie authors. There's another reason to avoid Kindle Unlimited. That's that payments are based on getting a small slice a money pot that Amazon fills from month to month. Amazon is taking money out of the pot secretly, we know not how much. All we know is what it's putting back in. Is that 20%, 40%, 60% or what? I suspect it's what they think they can get away with, probably in the 40% range. Whatever it is, it's something Amazon does not want authors to know about. That's bad. In the case of Amazon, authors need to insist on getting the same split of the Kindle Unlimited gross income that they now get of the usual ebook's retail price. That's only fair. That means for each Kindle Unlimited subscriber, Amazon should be putting $7 into the money pot to be divvied out to authors and publishers. Smashwords has delivered more book sales for me than Amazon for quite some time now. KDP is about US sales only, so it closes the door on sales to 7 billion other potential readers throughout the world. It's a no brainier. Drop KDP like a hot potato. Inkling, right, I neglected to mention that author compensation is drawn from a monthly pool and is pro-rated based on readership and the number of titles participating. Someone correct me if I'm mistaken, but I think the pool in the past has generally paid between $1.80 and $2.25 per lend credit? If so, that's not bad for most indies depending on your price, but it's a lot less than what traditional publishers (who are not bound by KDP Select exclusivity) assuming Amazon negotiated full-payout rates for the big publishers. Mark, I basically agree with you. I'm a Smashwords author in large part because I don't believe in exclusivity. However, you highlight the fact that trad published works are being treated differently in Kindle Unlimited. Honestly, can you say that I, as a Smashwords author, am getting the same Scribd/Oyster deal as HarperCollins and S&S? Which isn't to say that I think the KU payout system is good. I don't, but as an indie author, I kind of take for granted right now that I'm going to get a less good deal than a traditional publisher because it's traditionally published books that draw in the subscribers. Once they are in, hopefully they'll find my stuff. Do I think it's fair? Hell, no. But until indie authors are as accepted by readers as trad, it's something we have to deal with. 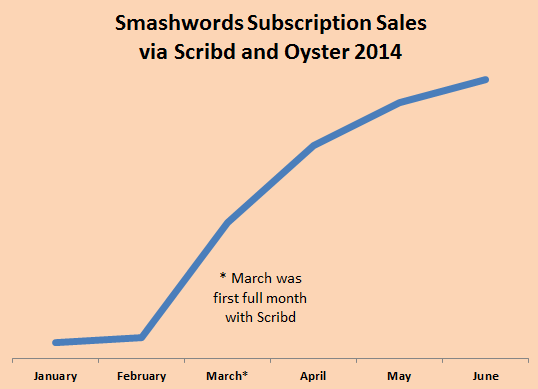 And if I'm wrong about the Scribd/Oyster terms for Smashwords authors, I'd be delighted to hear it. I would take advantage of Amazon's offer to withdraw from KDP Select if my exclusive commitment was not expiring on Tuesday anyway. 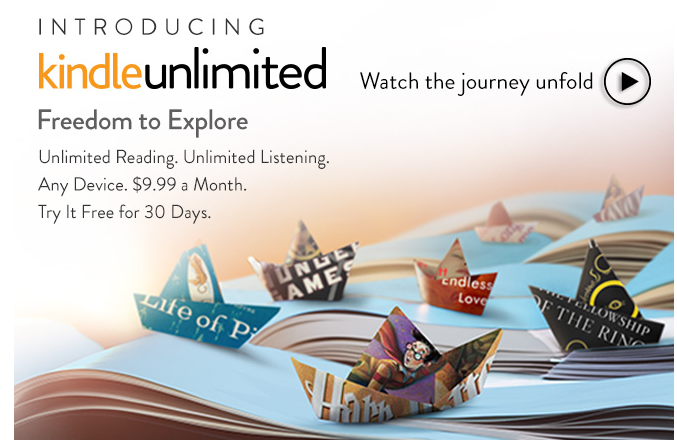 I don't like what they're doing with Kindle Unlimited. If I didn't have to be in Select, I might opt into it and give it a try, but I don't like the idea of being paid out of a mystical fund that Amazon controls. You find out what your cut is after the fact. Right now it might be around $2.00 a book. But maybe in six months it will be $1.00 per book. Maybe in a year or two it will be $0.25. Who knows? I had already decided to get out of Select. Amazon's latest move just makes me even more confident that I'm doing the right thing. Thanks for the numbers. In comparison to a sale, that means that those whose ebooks sell for over $2.99 are losing money--assuming (an admittedly big assumption) that subscribing replaces buying one for one. Subscriptions are probably not a good idea for books over $4.99 that sell well. They're no doubt a very good idea for popular $0.99 books. Running the numbers another way and assuming Amazon puts $7 in the pot for each $10 that comes in, however unlikely that is. How much pay back would authors be getting per subscriber read, assuming the average author? 1 book read per subscriber means the average read author gets $7. 2 books read, the author gets $3.50. Conclusion: probably over about 5 reads a month an author may not be doing that well with subscriptions. The $7 (or less) in that money pie is simply getting sliced too many times. Of course, given how secret Amazon is about sales, we can never know. Juli: This is one time I almost hope that traditional publishers got a better deal than us. Because of the way the subscription services are structured it is in Scribd and Oyster's best interests to have more of their readers read lower-priced indie books. If a subscriber is paying 8.99 per month and reading 2 books from one of the big 5 priced at $9.99, and even considering they only receive the same 60% payout, that means Scribd is losing money, as they are paying out $12. On the other hand, if a subscriber reads 2 indie books at $4.99, Scribd pays out $6. For that reason, it makes sense for Scribd and Oyster to promote indie books over the higher-priced books. It is the only scenario that I know of where this makes sense. With Amazon's new program it's the reverse. They want subscribers to see that they can read as many high-priced books as possible, and, at least for indies, you'll be paid a uniform, low price of about $2. per book regardless of price. I think the deal Mark Coker negotiated was far beyond my expectations, and I couldn't be happier with it. I anticipate Scribd, and possibly Oyster, rising to become top 3 or 4 income producers for my books. If we all help promote them, make readers aware of the service, it will help the companies thrive. What that means for indies is instead of just promoting Amazon, promote all of your channels. Apple, B&N, Scribd, Oyster, Kobo, Smashwords, Google, etc. Keep this up and you'll be surprised at how much difference it makes. We Indie authors decided to self-publish to have the freedom to create our books the way we want, not the way the publishers wanted us to. Why should we let a distributor dictate where to sell our books at? I refuse to put all my books into one basket! If people want to see how to do things the wrong way, how to do the most damage to books in general, they need not look farther than Amazon. This company does not value books or authors at all. Rather than educating the public regarding the actual process that takes place in publishing a book (particularly e-books which still need editors for heaven's sake! ), they have used their Kindle platform to create a mob of greedy, entitled people who seem to think that a fair price for a book is perhaps for authors to pay them to read. If I did not have so many readers who can't figure out how to get their mobi format books from Smashwords onto their Kindles, I would not sell on Amazon at all. When I first heard about Kindle Unlimited, I literally started laughing, because I knew it was just another attempt by Amazon to cut the throats of authors - and smaller vendors. I hate Amazon, and I don't like that particular emotion, yet Jeff Bezos and his minions seem so completely dedicated to evoking that emotion from indie authors for sure. The obvious problem is what happens after Amazon has driven the other services and retailers to the wall. Would you trust Amazon not to change the author/Amazon financial split in their favour? Their recent dealings with Hatchette hint that this could be a misplaced trust. I dropped it after the first 90 and I've never gone back and probably won't. I prefer to let your service handle most of the distribution/uploads and only direct upload to Amazon. No offense to you Sir, I *Love* Smash greatly, but your upload time to 'Zon does have issues. It's just faster, for me personally, to do it myself over there and let you handle the rest. Which, believe me, I greatly appreciate! My point is, Select may have had a place at one time, but for me, it is not something I'm interested in - mainly because of the exclusivity issue. I see the value in being everywhere and while I don't make as much off other platforms, I'm still selling and building that reader base because of services like yours! So, please, keep up the excellent job! Us Indies - at least this Indie - appreciates you more than you know! As an author I have to say that I love Amazon. I feel like they've given me a fairly even platform. That being said, I have never participated in KDP Select and I never will. Within a day of publishing my first novel (February 2014), I had readers asking me when it was going to be available on B&N. Smashwords made that possible without a lot of extra work. And not only B&N, but Apple and Kobo and many other retailers. I don't understand why anyone would limit themselves to one store when you can have your books shelved in many. It doesn't make good sense. I also have an issue with any program that isn't going to tell me upfront what my payment is going to be. I can't hire a contractor and then tell him what I feel his work is worth after the job is finished. I like subscription services; they're good for everyone--so long as they are done correctly. It doesn't sound like Amazon is doing this correctly and I have been shaking my head no since I heard about this program. Great insight Mark, I've appended a link to this blog from my blog entry of a few days ago regarding this story, to provide a wider perspective. Also great comments, especially about the pot - or bribe as I like to call it. I hadn't actually considered that Amazon might not use it all, which makes their monthly announcements of how much is going in worthless. Of course they may well distribute the whole pot, but with a company that guards its sales so closely it is a leap of faith to believe it though. I put my three mainstream historical in Smashwords and sold almost nothing -and lost out on potential earnings from loans. I've now removed them. My books are essentially British in flavour and do not sell well in US so KDP select is a better option for me. I get £150 a month from loans - well worth the exclusivity deal. You NEVER thought this news was good! I got the mail from Amazon about Kindle Unlimited yesterday and didn't even read it yet, because I knew it would be just another carrot getting dangled in front of authors to lure them to KDP Select. Being exclusive to Amazon might have once been a viable option, but as far as I can tell, Amazon has become an increasingly worse retailer to get discovered at, while every other retailer has improved. I'm staying with Smashwords, that's for sure! post simply reinforces the doubts I had. Thanks for the timely warning Mark. I have always chosen not to enroll in KDP Select for the very reasons you have stated, plus as an independent author there is little to gain from giving Amazon exclusivity. Yes you can run the odd free promotion or special offer and some people do choose to borrow books, rather than buy, through their Prime membership. But the benefits from the promotions are only really there if you have your own big marketing campaign where you can make large numbers of people aware of the offers, small numbers just don't affect anything significantly enough, especially sales ranks and gaining reviews. Also the number of times books get borrowed versus being bought are totally out of proportion when compared to potential sales through other distributors. A quick look at sales figures can verify that. The principle of encouraging people to buy or sell books at an exclusive retailer (a product in my opinion that should never be treated as exclusive) is completely insane. As a writer - Amazon's attempt to lock down indie authors infuriates me. Their attitude is becoming insatiably proprietary and that's not healthy for anyone (including Amazon). As a reader - I don't buy e-books from Amazon. I don't own a Kindle and they don't offer up front easy options to download (like Smashwords) so they lose e-book my sales. However, I do use Amazon as a reference site. I'll review e-books or look up e-books and then go away and buy them elsewhere (or try to). I've come across e-books I'd love to read, but they're only offered on Amazon - I so hate that! 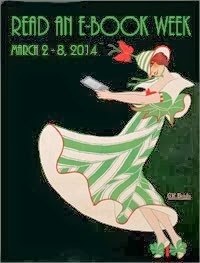 I could bite the bullet and get the download the Kindle app and faff about with all that jazz, but I don't want to and I can't be the only one. "Amazon is creating a caste system within the Amazon store. Also worthy of note, as revealed by Publishers Lunch, it appears as if Amazon is paying traditionally published authors more for their participation in Kindle Unlimited than they're paying indie authors." 1. Traditional books don't have to be exclusive to Amazon, self-pubbed do. 2. Traditional books are paid as if a purchase was made (full wholesale price), self-pubbed are paid from a pool that Amazon will control. 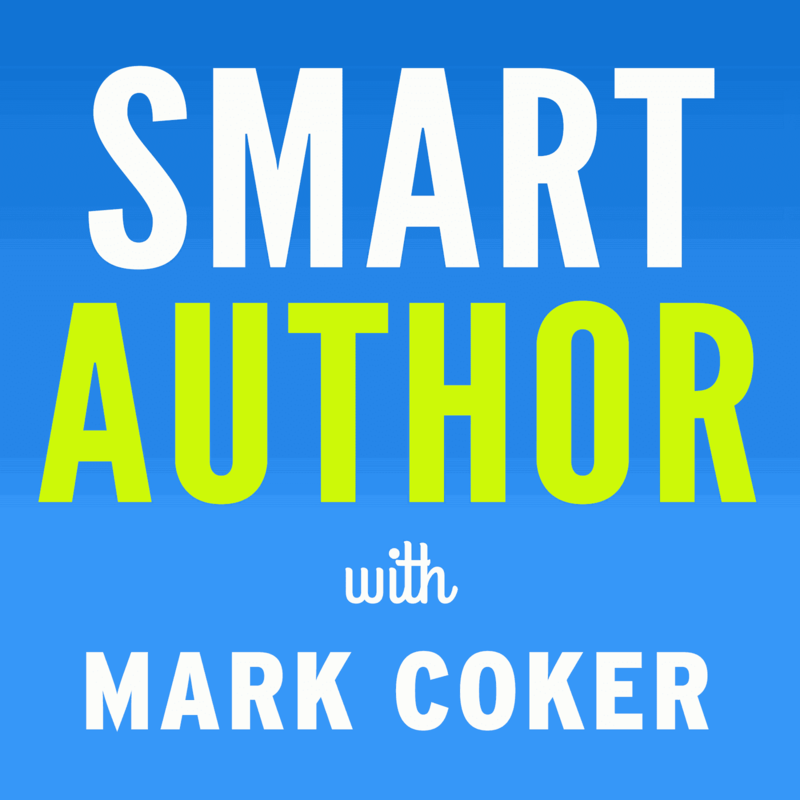 Mark Coker is right about Amazon punishing authors who refuse to give them an exclusive. See my post in my own blog, "The Reader's and Writer's Clubhouse." Also, do we have to be victims? We authors may have more power than we think for self-protection against exploitation in these commercial wars. It's been done before through group action in other industries. Why not us? Scribd & Oyster, and eventually the deal with OverDrive :-) are the two biggest things, for me, that Smashwords has enabled. "It's unfortunate Amazon is restricting access to Kindle Unlimited"
It's even more unfortunate because, really, Amazon doesn't need exclusivity. Not from indies. Maybe a handful of name attention getters, but us, self-publishers? No. This is a missed opportunity, I believe, that Amazon could grab back, and should. Like Amazon or not as an indie, they remain one of the most trusted companies by consumers. Myself and my wife included. And hidden in all this news and discussion about subscriptions, is the incredible change libraries are making. They are the last frontier of in place brick and mortar locations in almost every community in America. And they are warp-speeding into the digital age. I've even seen Trip Adler interviews saying how much libraries are and will be a compliment to the subscription services. I'm looking forward to the day when I can (re)contact my local librarian here in Austin, and say, yay! my titles are there for you! Thanks for the insights Mark. Let me add one note: funny how an arch-capitalist scheme like KDP Select announces its new robber-barron ploy to obtain a monopoly under the banner of "Freedom." Look at their announcement again. There it is, the BIGGEST LIE of all. I hope I'm wrong, but I think one day Amazon will make exclusivity compulsory to be eligible to publish on the Kindle platform in any capacity. Only for Indie Authors, of course. '...I've been speaking out against KDP Select ever since they launched it in 2011 when I wrote my post, Amazon Shows its Predatory Stripes with KDP Select. Amazon partisans have accused me of being an Amazon hater for my criticism of KDP Select, but that's simply not true. I admire Amazon. Jeff Bezos and team are freaking brilliant. They deserve massive kudos for catalyzing the rise of ebooks, and for changing the lives of indie authors. When I decided to indie publish last year, KDP Select was 'da bomb' according to many in my network. What I now realize-experience is always the best teacher- is that the KDPSelect of yesterday is not the same today. It's a case of the indie writing public not keeping pace with indie authors who have done well via KDP Select. The data is dated. What worked in 2011 doesn't work anymore. In the indie world, 2011 was a lifetime ago! The indie book market is now glutted with books. Finding a good one is similar to finding a needle in a haystack. To keep a book exclusive to KDP Select is an error, in my humble. I tried it for 3 months and after giving away books twice in that time, I took my enovel off the KDP Select list. The blog I wrote about my KDP Select experience is included here. Times are changing in this rapidly changing publishing world-what worked for Hugh Howey et al isn't working today. After learning that a colleague had joined the KDP Select program and increased his sales from 27 units a month to over 4,000 a month, I decided to enroll my own books there (I am the Publisher of independent Black Bay Books). The first month, my sales doubled; the second month they doubled again. I hoped I (and other Black Bay Books authors) was on my way to riches. Unfortunately, after a year of trial--and the addition of several more titles--the sales went back down to about the amount of the first month. In other words, KDP does not work for everyone.In fact, it probably works for a very few. I have recently pulled all Black Bay Books out of KDP Select--although, of course, they are still for sale at Amazon. Now though, I have the opportunity to build on whatever fan base we accrued at KDP by adding readers from Apple, B&N, Scribd, and the like. I noticed also that the Kindle lending program may be lucrative, but there are very few borrowers. That aspect of Select seems to be overrated. Even though I dislike Amazon and their predatory ways in almost every direction, authors owe it to themselves to at least try the Select program. One in ten thousand--like the colleague I mentioned above--will be able to quit their day job, at least for a while. And the fan base they gain in the 90 days of their trial period will still buy their books whether they are on Select or not. It didn't work as I had hoped for Black Bay Books, but trying it was a must. Still, I am delighted to be back with Smashwords, my original home, and its retail affiliates. When I first began, I used KDP Select I didn't know about Smashwords. 6 months later, however I drop them. Now, admittedly, I earn about 4 times more from Amazon than I do through Smashwords, but there is no way that $2.00 a read is going to out weigh that. I will NEVER rejoin KDP Select or KU because I don't like the fact that, unlike Scribd and Oyster, I don't get a set amount (%) from Amazon's KU or Select programs, I just don't see any way they can earn me as much as Smashwords does. I only hope Smash is in some kind of negotiations with Overdrive. They seem to be a great outlest for Indie books! @Les, right. If Amazon drives more retailers out of business, indies will become more dependent upon Amazon and will have less leverage to negotiate. If Amazon would punish Hachette at the drop of a hat, what would they do to an individual indie who has no leverage? Actually, we see it every day with their heavy-handed threatening emails they send to authors every day when a book appears at a competiting retailer for a lower price. As I wrote in my May 26 post, Amazon's Hachette Dispute Foreshadows What's Next for Indie Authors," it's in Amazon's DNA to put the squeeze on its suppliers whenever it has power over them. Walmart does it and big grocery chains do it. It makes sense if Walmart's going to place an order for 50,000 lawn mowers that they're going to heavily merchandise at the front of all their stores that they'd have valid justification to demand better terms. Such as scenario is fair to the supplier and the retailer. Yet should authors be treated as commodity suppliers? @Margaret, thanks for the kind words. Just to clarify re: our distribution to Amazon, Smashwords only distributes about 200 titles to Amazon. We do it upon special request from authors who've reached certain sales thresholds (since it's a manual upload process for us, we can only do it for strong sellers). We'd love to offer Amazon distribution to the many Smashwords authors who want to consolidate their distribution with us, but Amazon to date has refused to offer us the bulk upload capability. @Amy, one other downside of such pool-based funds is that the model treats all the books as interchangable commodities of equal value. Authors with $.99 books make out well but authors of $9.99 books not so well. The Scribd and Oyster models are much more transparent, accountable and predictable because they let the author/publisher set the value of their product. @Fenella, first off, congrats on the strong sales at Amazon. You're earning a lot more than the average indie author, and that wouldn't be happening if you weren't writing reader-pleasing books (that's the toughest job!). However, keep in mind that you're probably limiting the long term potential of your books. I see your two unpublished books at Smashwords were distributed for less than a year. Books that do well at one retailer are likely to do well at others if given the chance. We've got a lot of books from British authors that do well in the US and internationally. A lot of Aussie and Kiwi authors too. Great stories are universal. Often it just takes patience, perseverence, experimentation and a bit of luck to start breaking out at different retailers. Of course, there's never any guarantee. @Wm., it's tough to explain but my first thought was that Amazon's entry would serve as the strongest-yet endorsement of the subscription model and might encourage our other retail partners to introduce subscription models as well. I don't have hard data on this yet, but based on what I'm hearing from early subscribers to these services, readers are reporting they're reading more books and discovering more new authors than they would otherwise. Even if Smashwords doesn't finacially participate in the transaction, more reading is good. I know my NetFlix subscription causes me to watch more movies than I otherwise would. My second thought was that since we do distribute a couple hundred books to Amazon, we could enroll them in the program. But once I learned of the KDP-S requirement, it was a deal-breaker. In my view, the biggest existential threat to the future of publishing is that not enough people are reading. If subscription services help more readers enjoy more books, and if these services can be aligned with the interests of authors (such as the Scribd/Oyster models), then all is good. @Michael, agreed. I too was surprised by this because they're treating indies as second class citizens. I think it speaks to negotiating leverage. The mass of (I assume) 200,000 or so indie authors who have their 500,000+ books in KDP have little individual negotiating leverage because they're not organized under the umbrella of a single publisher. If every one of those authors opted out tomorrow in protest, things would change but that's not going to happen. Amazon has these indies right where they want them - divided and conquered. Anytime a retailer offers a supplier less money for their product, they're taking away your power. @Darren, in a sense they're already moving in this direction. They've created two classes of indie author at Amazon, the KDP Select author and the regular KDP author. KDP Select authors get preferential sales, pricing and discovery tools. By definition, this means that regular KDP authors are disadvantaged in their store and will sell less. Once they have a critical mass of high-quality works in KDP Select, they can provide even more merchandising advantage to KDP Select to the point that most indie Kindle sales are going to KDP Select authors. As long as they can continue migrating regular KDP authors to KDP Select, and can keep regular KDP authors moderately happy enough so they don't leave the store entirely yet still accept their disadvantage, then Amazon can enjoy the best of all worlds. This is how they'll slowly take power away from authors. @MarketingtheMuse, thanks for sharing your experience. I hear the same thing. The first people who opted in to KDP Select in 2011 and in those first few months got the best benefits, probably because the free days worked so well back then when there were so few free titles in the Kindle store. Now there's a glut of free everywhere. Also, back when there were only a small number of authors participating in KDP Select, the benefits of the program were concentrated onto those authors. Today, there are so many authors in the program that it's impossible for them to all do well. The impact is diluted the more authors who go exclusive. How can they justify demanding exclusivity from Indies and self pubs, but let name ebooks, like Hunger Games, participate without exclusivity? Gonna get sticky for hybrids at least. I like Amazon and commend them, especially as a retail marketplace, but this seems a little unthought out. Virginia, my guess is that Amazon knew that if they came out with a service that was 100% indie, they'd get criticized for not having any books from the big publishers. Both Scribd and Oyster, their two competitors in this space, have a catalog that's around 50% indie (mostly from Smashwords) and 50% publishers. In this case, the publishers had the leverage to dictate terms to Amazon such as, "If you want our books, we want the same terms we got from Scribd and Oyster." Indies would be wise to make the same demand: Full retail price, standard agency commissions, and no exclusivity. Anything less is... well... less. We know we've been giving you a bit of a hard time, begging you to spend time on improving discovery channels on non-romance, but we owe you a bouquet for getting a great deal for indies with Scribd and Oyster and will bang our drum against non-exclusivity and full payment for indies on lends for as long as it takes for Amazon's Russ Grandinett to realize this was a false move. I am a big fan of Amazon and sell almost nothing of my 250,000 word novel via the Kindle or Smashwords sites, so I don't really have a... uh... rooster in this fight. One point to add, though: I find it interesting that hardly anyone mentions Amazon's dual role as publisher and retailer. A high percentage of the e-books Amazon promotes on its Kindle app and the Kindles themselves, e.g., daily deals, monthly deals, etc., are published by Amazon imprints. I find that annoying. Since my one and only foray into Select ended in a BUST. I'm not even going there anymore. As an indie, I need to spread my work over as many locations as possible to ensure discoverability. Smashwords has been a great help in that. Mark said: @Michael, agreed. I too was surprised by this because they're treating indies as second class citizens. I think it speaks to negotiating leverage. The mass of (I assume) 200,000 or so indie authors who have their 500,000+ books in KDP have little individual negotiating leverage because they're not organized under the umbrella of a single publisher. If every one of those authors opted out tomorrow in protest, things would change but that's not going to happen. Amazon has these indies right where they want them - divided and conquered. Anytime a retailer offers a supplier less money for their product, they're taking away your power. Exactly...it's always about negotiation power...and authors are almost always at the lacking end of that. We get taken advantage of with traditional publishers, we get taken advantage of with big distributors. The only way we retain power is by selling direct to the public...but that is so fragmented. Out of curiosity what % of sales come from smashwords directly verses when you are a channel to other distributors. I'm thinking in aggregate it is small...but we need to start increasing this number!! Has anyone else noticed that the policy for the Kindle Unlimited that states that the book has to be in KDP Select does not appear to apply to other books like the Hunger Games. All popular books are still being sold at other sites non-exclusively and yet being offered in the Kindle Unlimited Program. I think the rules should apply to all and not the select. Smashwords Still Rocks with my sales! Never put all your eggs in one basket. Maybe Jeff's been hanging with Rob Ford too much. It's easy to say that Amazon's exclusivity policy is problematic for indie authors... but what I'm curious about is whether it can still be useful. For example, an indie author with a few books under their belt could put one in KDP select/unlimited program and then continue with their regular publishing channels for the others. It would almost be like offering the first part of a series free, just to get some interest in the other books. I understand the issues that people have with Amazon and agree with them, but there might be opportunities here as well. Things to think about. I'm glad adan mentioned the issue of free books, especially those that start series. In my opinion, this is one of the most important tools in an author's possession. No one needs to be exclusive if they have perma-free book(s) available. People will take a chance on a free book, and if they find that book compelling, they will start looking at other books you've done. They will mostly likely start at the second paid book in the series and move on to others you've done. Or they might download and read all the first books first then move out from there to paid books. The best way to use free books is through as many channels as possible. This is why I like having my books in as many places as I can. It gives me the widest range of exposure to help new readers find me. I get comments all the time from readers saying they found me from my free books and had to buy my other ones. I don't think any author needs to be exclusive at one place if they can be prolific and offer a couple free to give readers a risk-free chance to try them out. The most important thing any author has is the ability to write more books. You don't need big sellers if you have a big enough backlist. Sometimes the mid-list sellers earn you a nice chunk of money. This is also why it helps to have books in as places as possible. All the sales from different channels adds up nicely when you pool them all together. I'm not sure how subscription services will play out, but I'm willing to give them a try as long as they don't require me to be exclusive. Adan, I think it's funny that you said "FU" instead of "KU," lol. I agree that exclusivity is bad for both authors and readers. Individuals giving away power and freedom to a company on its way to forming a monopoly is always bad. I really like the irony pointed out in another comment about KU being about freedom. What is so horribly odd about an exclusive contact in the world of media? What is so horribly odd about an exclusive contract in the world of media? John, we're talking about supplier to distributor here. It's like showing a movie in only one theater or playing a song on only one radio station. What's odd is limiting distribution of your art to one outlet. You might do it for a 'limited run' in an art house movie theatre in the center of London but it's hardly going to make you a runaway success longterm. Would you place your print paperback only in one line of bookstores? Would you let only iTunes sell your song? In fact, it's totally, totally odd to go only with Amazon. Freaking weird. I think that's very smart, to search to see what still might be of value. There's not much more open to mistakes than untested assumptions. I plan to put a stand alone short (in-progress) int KU and see first hand how that will work. In regard to "It would almost be like offering the first part of a series free, just to get some interest in the other books" though, I'm not sure. I've read several folk in the big KBoards thread speak on this ( http://www.kboards.com/index.php?topic=189900.new#new ), reminding me that placing your first in a series, where the audience is restricted, because of one's own exclusivity, is self defeating. Not everyone has an account on Amazon. There's lots of folks at iTunes, B&N, Smashwords, and of course Scribd and Oyster, competing subscriptions. And the thing is, about Scribd I've found out recently, not only can you have something priced free there, but a reader doesn't have to have an account to read it! I have six titles there, and where it's being accepted at free. A first in series, to me, would be better off in as many places as possible, easily accessible, and for as long as I needed it to be. Whatever you decide, know that as long as exclusivity exists, many many of us struggle with these issues. Exclusive contracts in the world of media are indeed fairly common, whether it be big publishing, movies, music, etc. The problem is - being common, as 7 day work weeks and such were at one time, doesn't necessarily make them the best option for one of the parties. The "agreement" as Joe Konrath points out, is good when the terms are right for both parties, and in this case we're talking about writers and their rights. Exclusive rights, at least in my mind, brings up ideas that the work being optioned or bought or leased etc, is being promoted in some special way not being given to a similar competitor: showing up on the company's video (Amazon's is absolutely brilliant) or landing page, or sign up page, for example. Being in the slush pile for someone to wander across, with a notation (helpful as it is, if one comes across the title) that it is free for subscribers, is not enough of an incentive to be worthwhile. At least it hasn't been for me. Which is why I'll try "one" new (almost finished) short. Stand alone, but not a throw-away. Using the same characters I use in all my other fiction (thus related) but not a first of in a specific series or serial. I'm not expecting it will have a positive impact monetarily for me, but I'm willing to give it one limited shot. The odd part, of exclusive contracts in the media, specifically ebooks, is how what once implied very special terms that set one work apart, not via being one group in another group about the same size, but individually from the vast majority of other like work (via much better pay rate & visibility), has become features in one group of titles vs another group of titles similar in number and quality. I believe it robs both the author and the reader. Again, back to Inkstain's examples, that pattern is being broken. Because it is unfair and of less value to those who create content. Heck, I'll do exclusive. But I gotta be convinced it's really worth it for me to give up being able to sell where I wish. Adan, the problem with Amazon's exclusivity clause is that they are not a publisher. They are a retailer and a publishing platform. If you sign a contract with a traditional publisher, yes you are temporarily giving them exclusive rights to publication, but that publisher will then offer you book for sale via multiple retail outlets. They will never limit the sale of the book to one retailer. Amazon - A RETAILER - wants to limit sales to their retail outlet only. Darren, nicely said, and more quickly than myself :-) thanks! Thanks everyone for the great discussion. I understand Smashwords is a bit of a strange bird in this regard in that we also operate a small retail ebook store. In answer to your question about our revenue streams, about 94% comes from our distribution channels to retailers and libraries, and about 6% from the Smashwords store. 3. Consider how your choice of partners will shape the future of publishing. Exclusivity is a vote for retailer consolidation, and diversified distribution is a vote to promote a diverse ecosystem of multiple competing retailers. 4. Indies have the greatest power and choice when many retailers are competing to serve indies. More retailers also means more book-loving professionals spending their days and talent trying to connect reader eyeballs with your books. At Smashwords, we make it possible for all retailers to compete. 5. Adopt best practices (see the Secrets to Ebook Publishing Success, or my blog the last few years). Best practices help indies publish like a pro, and best practices reduce the risk of dumb mistakes that will undermine your success. 6. Build a personal platform you control. This means build up your social media platform, your private mailing list, etc. No one can take your platform away from you. As long as you control your platform, you have an ability to reach your fans (note how Facebook is making it difficult for authors to reach their followers). 7. Support distributors (Smashwords!) that advocate for the interests of indies. We have leverage thanks to our large numbers, but unlike companies that use their leverage to bully and destroy their partners, we use it to advocate for the best interests of our partners. Partners means partnership. Partnership means understanding that two or more parties realize they can achieve more working together toward common cause than by working apart. Our retailer partners know that we use our leverage to work for the common interests of retailers and authors. We make it fast and efficient for retailers to efficiently onboard a massive catalog of indie ebooks, more efficient than them operating their own direct-upload platforms. Unlike Amazon which wants to destroy all retailers except Amazon, we support our authors by supporting our retailers. We want our retailers to profit from our books, because that incentivizes them to support our authors. We're working to make all our retail partners more successful, more profitable and better able to survive and thrive another day to sell our authors books. 8. Preserve Agency. Agency pricing puts the power in the hands of authors. The author sets the price and ears 60-70% list. The retailer earns a fair 30% list for their efforts. Agency forces retailers to compete on customer experience as opposed to the depth of their balance sheet. Agency allows smaller retailers to compete against the big guys, which promotes greater diversity in retailing. The more booksellers the better. Wholesale pricing, especially as it was prior to the advent of agency, paid authors only 35-50% of the list price. This put pricing power, decision-making, promotional timing and earnings power in the hands of retailers, not authors. The Hachette/Amazon battle is over ebook margins. If Hachette fails to preserve agency pricing for ebooks, it won't be good for indie authors. 9. Understand that indies will determine the future of book publishing. The publishing, distribution and marketing choices of indie authors (all authors!) will determine the winners and losers among retailers and distributors. This is why I say every book enrolled in KDP Select is a vote to put other retailers out of business. This is why Amazon has oriented their entire indie ebook business around exclusivity. 10. This is self-serving for me say as a distributor, but indies should organize their time so spend more time writing and producing and less time on everything else. This, I would argue, is why most Smashwords authors choose to consolidate their distribution with Smashwords even when they have the option to upload direct to retailers. No author will fail because they gave 10% list to their distribution partner, but many authors will fail because they didn't manage and optimize their most precious resource (their time) properly. I agree with you Mark. I was just thinking about it when I found this post. I recently decided to opt out of KDP Select too. I can talk about several reasons to do it, but the most important one is that I don't want to limit myself on the ways I can reach potential customers. The news about KDP Unlimited and the fact that only KDP Select books were being included on it just confirms my decision. The first thing I thought is: How is it possible that suscription programs like Scribd and Oyster don't require exclusivity, but Amazon Unlimited does? What a trick...I'm not falling into it anymore. Reading this post and most of the comments just reasure me that I'm doing the right thing. Good for me that my KDP Select contract expires on this month. Bye bye KDP Select! And Kindle Unlimited? Thanks...but no thanks! I think it's fine for indies with several offerings to play the system as best as they can. If they have the majority of their product available at a number of retailers and want to put one or two titles in the KDP Select to take advantage if its benefits, I don't think they are casting a vote in favor of an Amazon monopoly. However, I think we should all do what we can to keep multiple retailers in the game so that we continue to have some control over the future of our books. How close are the other retailers to offering a subscription model? That certainly weighs in on my decision to give Amazon Select a try. If you're in my boat and selling so little, plus having readers munching on your freebies like peanuts, then what would I have to lose? Charles, the danger is that a move to KDP-S practically ensures your books are less likely to ever break out at other retailers. You touched on a big psychological draw of KDPS. The fact of the matter is that most indies sell poorly everywhere. It makes the trade-off of exclusivity more palatable. Like all gambles, the move could pay off. I don't doubt KDPS + KU will pay off for some authors. It's a crapshoot where unlike craps, you don't know the odds going in. Like craps, some players win big. Good luck whatever you decide! This is as much about morality as about selling books. Most of us, I suspect, don't sell a great deal of books. Smashwords are very upfront about that, they temper expectations very well. What Amazon are attempting to do is to squeeze all other ebooksellers out of the equation. That is unlikely to be helpful in the long run if they succeed. (btw I'm British, so assume I'm playing down the consequences). Now you may not sell many books through all media, same as myself and many Smashwords authors, but my instinct is to deny Amazon the high ground of exclusivity. Publish through them, sure, but don't let them dominate. This isn't about your books or mine; this is about the future of authorship. We need Amazon, we need Smashwords, we need open competition. And I agree totally. Diversification without exclusivity is best for me also. I'm putting one new short on KU so I can honestly evaluate it and honestly say how it worked for me. Actually I did the same with Scribd, and they're all class, said they understood, agreed it was the best way to be, to be honest and fair as possible. I think they're the best, but I've also held them to task for some major goof-ups. And I do the same re Smashwords. They, like Amazon in starting the ebook revolution, have done so much that's been good for me. But I hold them to task to communicate more, and I have seen Mark out there on blogs commenting and involved more and more, and it really helps. Well I wouldn't put all of my titles in KDPS/KU. Like most I abhor exclusivity. I also abhor algorithms that toss non KDPSelect books to the bottom of the barrel quickly. However, the indie writer is alone in the wilderness when it come to getting discovered. One has to be nimble on their feet and at least try this and that and see what happens. And it's no slam against Smashwords. They seem to be the only retailer out there who cares about books and authors. They're not in the business of selling reading devices, hard goods, and services. So I don't know what to do sometimes. Making business decisions is certainly like gambling. I've played enough slot machines to see the similarities. Interestingly KU is getting a muted response on some internet forums after early interest. Potential adopters, those who already spend in excess of $120 per year on eBooks, are trawling through their recent purchases and finding that many are not available. An acid test for consumers and a killer for Amazon. If they dropped the exclusivity clause they could boost their library many times over - it would just become another distribution option for authors and KU would be a viable alternative for big ebook readers. Meaning, Kindle Unlimited would be "just" another distribution option for authors, it'd be a tremendous option. I'm more and more convinced exclusiveness, in regard to indies en mass, just isn't as attractive to either readers or writers. Amazon is one of my favorite spots. I honestly believe they plain old don't need it anymore to stay on top. Just my opinion of course, but sincerely meant. i'm getting the feeling, (especially since we see the very beginnings of a 'turn' to accept indies is creeping into even the bastions of trad publishing reporting, e.g. Guardian and NYT,) that indies are starting to realize their power. Author Earnings helps a lot. Thanks Hugh. Passive Guy is building a community fast. Thanks PG. Konrath is a great fisker. We're sorry to lose the wisdom of Rusch, but we've still got David Gaughan. Call us the Little Bezos, but we're starting to get it straight. We control the raw materials. We own the mines. We own the fields. We own the waterflow, in other words, we create the characters, the words, and the worlds everybody wants to see coming out the other end as Product. We're as good as our improved curation of our raw material, our creativity, and editing decisions, makes us. Thanks to the marvelous Smashwords guides Mark has made available to us, the coupon and other tools he's offering, and the variety of marketing ploys we see from amazon, Smashwords, Scribd, Oyster and others, we're exploring our increasing potential as fast as we can. We're a Proud Tribe and we aren't doing this, or at least not at the start, expecting to pay all our bills. We don't expect anything! That IS freedom from the kind of leverage that Jeff Bezos is accustomed to exerting on desperate suppliers, including trad publishers with high overheads and staff to maintain. We write in our bathrobes, keep our day jobs and hang together with goodwill for anyone coming up the learning curve. We are ALL Spartacus here and willing, I hope, to see our numbers slump temporarily, while Bezos tests which of his tech whips panics us fastest. Select? KU? Slash Audioble royalties? Jeff, I'm using all the alternatives I can so as to reach a healthy and respectable working relationship with Amazon. Meanwhile, I can see you giving trad publishers more categories, pushing the latest NY releases at readers in emails and dangling literally 'a pot' of gold at the Select lenders. But even though half my books WERE trad published before I reclaimed my rights, Select didn't work for me, your pot didn't produce any ducats, and meanwhile I'm still paying my utility bills, with humble gratitude to each and every distributor ready to play fair. I'll add again, Mark, that I think you'll find a month or two spent on improving your discoverability channels,now that you've nailed key clients on the lending side, would zoom up those sales in non-romance, non-scifi categories. Move ahead of Amazon with goodlooking, and more varied discoverability tools, and we'll all be grateful. Make discovering books as fun as reading them, with entertaining graphics and channels that respond to our creative choices. And oh, yeah, please add International Mystery and Crime. Inkstain, one of the best posts I've read covering so many facets of what's happening for writers today - thank you! And loved - "Make discovering books as fun as reading them..."
That's why Amazon's "Freedom to Explore" is so catchy. I tried KDP Select on my last book and was not happy with the results. I pulled it as soon as the 90 days were up and will never do it again. Do Scribed and Oyster offer files that are readable on a Kindle, like a MOBI? Folk can read on the Scribd app or via the Silk online browser if they have a web enabled reader. Though a significant number of people really like the dedicated readers, articles I've seen show a trend away from readers to more multi-purpose tablets, like my Fire. Scribd files can be read on a Kindle Fire, but not on a plain old Kindle e-ink reader, sadly. Not sure why, but it has something to do with web interconnectivity. Inkstain, yeah, that is a shame. Well, the trend is toward tablets and phones, and even the phones are getting bigger screens. Even gives a little plus and minus about the trend. I sold 2 books with Amazon last year and literally 50 times that many at Smashwords et al, I think I should definitely go exclusive! I've been so happy with Amazon's author friendliness that I haven't bothered to publish anything there of late or revise anything already published. Not that they'll notice of course, but I don't have time to mess with reformatting for one unfruitful channel when Smashwords gets things published everywhere else in one fell swoop, not to mention they are so much better to work with. Here I am a person, not a number, thank you! I don't know why anyone even bothers to use a dedicated eReader device. You can download apps to read eBooks in any format on your smartphone. I read all my eBooks on my iPhone. Always have. @Darren, because we like eInk. My Kindle Paperwhite is great while camping because I can read in any light level. My husband, who only has an iPad is forever in search of the right shade. Mind you, I also read on phone/ tablet. Each has their place. One thing I've noticed is that some books that have been on Select do okay while in Select, but once the author pulls the book out of Select, sales take a nosedive. I'm sure there are several reasons for this, but it seems to me that you're punished for leaving. I understand a few authors have huge success, but by focusing on those few authors, it's easy to lose sight of the business side of writing. Publishing is a marathon. I started out with vanity presses in 2002 and published on Kindle and Smashwords in the 2009-2010 timeframe when this was all brand new. I didn't make $100 (in one month) until the very end of 2010. Money was never a factor for me early on. But since, I have learned to treat this like a business. The payoff isn't always immediate. Sometimes you have to wait. By going exclusive, you run the risk that you won't have the ability to reach a wide audience. I'm glad Amazon exists. But I'm also glad Kobo, iBooks, Smashwords, Barnes & Noble, and other sites exist because it gives me a better chance of expanding my business. If Amazon sales slow down, sales on other channels might sustain me. Or vice versa. You just never know. And just like any business, there are no guarantees. Sometimes you see a profit and sometimes you don't. My sales are not always going up, and there are extremes from month to month in earnings (whether I published a book that month or not). We only have a couple things under our control. One, we can write the next book and make it the best it can be. Two, we can publish in multiple places. I hated seeing Sony close. I don't want to see other retailers close. The more retailers, the better our chances are of having a successful business. If I ever sold a book on Smashwords or Apple or Kobo or had a borrow from Oyster or Scribd, I might be more sympathetic to the avoid exclusivity argument. But I haven't even though when I've put my book on sale I've tweeted and blogged and otherwise promoted every site on which the book is available. I have two short stories in KDP Select and have made more in borrows through KOLL on those than I have from sales of books on all of the above named sites combined. As far as I'm concerned, this is business and most of my business is on Amazon. I don't know your publishing history, but one book on every platform won't get noticed as well as two shorts on one. I din't start really selling books until I published my third novel. Your lack of sales on other platforms may have more to do with the kind of offerings you published than on one distributor being better for you than another. Just something to think about. Inkstain, I really like the way you think. And Mark, thank you SO much for the addition of the "daily sales" graphic. I love having a better idea of how many books I'm selling each day. I've been especially grateful these past two days as I've noticed my US Amazon sales dip down a bit. Has that happened to anyone else? I wonder if it's because a lot of readers are taking advantage of the first month free in Kindle Unlimited and downloading KDP Select books instead of buying mine. I'm not too worried, though. I think once the free month is over, a lot of readers will go back to buying the books they want to read instead of settling for whatever happens to be in the KU pot. David Gaughran addresses addresses some of those issues about visibility and rank being affected by whether one is in Select (exclusive) or not. Even vs authors with work on Amazon but not exclusive. The dip in sales have happened to me, too. I've heard other authors are experiencing the same thing. I suspect it has something to do with Kindle Unlimited. I remember the same thing happening when Select first came out. Things eventually rebounded. Hopefully, they'll rebound again, but I don't take anything for granted. I second adan's recommendation. David Gaughran is awesome. I really enjoy his posts. Joanna Penn at www.thecreativepenn.com is another good one. I got my start in ebooks by listening to her podcasts back in 2009. The bottom line for me, re: Amazon, is this: I simply don't trust them. My partner and I used to sell used books on the Internet - on Amazon, B&N, and several other sites. We quickly learned that with Amazon, it's their way or the highway. Period. They're much like eBay in that respect. It's all about the customer. Which is, of course, good for the customer. However, in a dispute between the customer and a third-party reseller, the seller doesn't stand a chance. Then, of course, they began allowing third-party sellers to sell used books for a penny, thus killing the market. I will never, ever, allow AZ exclusivity. Needless to say, I'm extremely reluctant to ever use Createspace to get my print editions on AZ. The sales of the second book in my series actually went up this month, after removing it from KDP Select. I think in coincides with my first book going permafree through price-matching (thanks Smashwords!). Thanks for the link. That was the most comprehensive coverage of KU I've seen. Eva, you bet :-) David does consistently top notch posts. @adan, I had the same surge at exactly the same time. Wonder what was up with that. Predictably, it's back down now, but I expected that with KU starting up. Good thing my Smashwords sales are making up for it. :) Gotta love the July sale! If all traditionally published books are available in the KU program, then all I can see is a bleak future for the Indie author on Kindle. Only those authors offering exclusivity to Amazon (something which I am dead-set against) will be getting sales as more and more readers sign up to the KU model. If everyone refused to go exclusive with Amazon, then Amazon would no longer be able to play that card in its relentless effort to monopolize the book market. Those authors willingly going exclusive with Amazon and shunning all other retailers in the process need to stop and consider the future of publishing - their future as authors. If Amazon ever succeeded in eradicating its opposition and acquiring a global monopoly of the eBook market, then all publishers and authors alike will be held to ransom by the Goliath. If there are no longer any other major outlets through which to sell eBooks, then Amazon can name its terms and it'll be a case of "take it or leave it for us authors". They would then be in a position to offer ridiculously-low royalty rates, and if an Indie author wanted to publish and sell on their platform, then they would have no other option than to accept Amazon's deal. Thanks Mark for these posts. I appreciate your insight and forward thinking. Your videos have been very helpful to me as a new indie author. Michael, enjoyed your article tremendously. Great detail and look ahead. Comment thread has been very interesting. The questions, in my mind, aren't anymore about which is more fair or unfair (though a legitimate question), but where do authors stand? What do we need, as creative original content producers, to be able to fairly retain our rights to what we have created, and garner a fair price, and an equitable (not just comparatively better) opportunity. Have tweeted, Google+'d, and Stumbleupon'd it! @ Darren Burton - ". . . If you sign a contract with a traditional publisher, yes you are temporarily giving them exclusive rights to publication, . . ."
Temporarily? Not sure what you are basing that on - but, a persons lifetime plus 70 years seems to me to be a bit more than temporary. @ RG Dillon You're referring to copyright, which is owned by the author. The publisher doesn't buy the author's copyright, just a right to publish. Depending on the stipulations in the contract, the publishing rights for the book revert back to the author after a predetermined period of time has elapsed. Sales have been virtually non-existent on Kindle since KU was launched! @Darren - Unfortunately have to ditto your experience. My sales flat lined after the 14th. I've heard of one other person having the same drop-off around the same date. "Some struggling authors might mistakenly conclude that the success of others is a result of being in Select, join, and then find that being in makes no difference at all to their sales numbers...."
@Adan, I think I'm the "other person" you mentioned who saw a drop off after the 14th. Now here's further irony. Yesterday, I received an awesome review of my first book from an influential reviewer on Goodreads who found my book through...wait for it...Smashwords! My sales have spiked, and I'm on track to have the best month ever, for a non new release month. @Juli - OMG! :-) I can't stop grinning! Message indeed! :-) Big big congrats! Well the scales have been tipped, (for me anyway.) I'll stay with Smashwords when I finally have my cover finished. Papa always told me to stay away from the things that look too good to be true and just from what I have read here I have deduced that Amazon's program is way too good to be true. Thanks to Mark and the rest of you for opening my eyes. I am not a fan of the concept of Kindle Unlimited. It benefits no one except Amazon. I would imagine it might give you some greater exposure, if anything- but it will lead readers to believe they don't have to pay top price for your book. I was disturbed by Amazon's tactic's anyway- I published on Create Space because there were those who wanted a print copy- and my attempt to put it in their Kindle catalogue was met with- "we need $79 to format it first." I thought, no way. Then a friend tried to get it on Kindle and they said- "it will cost you $28"!! So they would charge the reader to format it. I can't say I've ever experienced any issues with CreateSpace. They provide excellent proofing tools before you commit. I'm sure they also provide paid-for services but if you have formatted your book for KDP then your biggest challenge, in my experience, is putting page numbers in. Not as trivial as you might think, assuming you're using Word, as most of us want to have pages without numbers before the book begins (or Roman numerals), then numbers. If you or others are stuck with this bit then drop me a line and I'll put a tutorial together. If there are some other issue, ditto. Signed up on Scribd via my subscription with them. Very smart having that option, thanks! So, can you say if you feel it's a balanced report re KU, or tilts one way or the other? Either way, sounds very interesting, best wishes! I have one book in the Kindle Select program. It has 40+ Mb of file -- textbook with vast number of color figures in which not-color, not hi-res is not an option -- after lots of reduction efforts. It sells other books in my game design series. Supposedly Amazon has 60% of the ebook market, or so Bloomberg reports. But how is that trending? FOr the past year I've been thinking of removing my ebooks from Amazon Kindle Direct Publishing, after zero sales since day one and no views. Amazon's recent stink about prices, other publishers, sellers has all but convinced me. Even though I've had no sales on Smashwords [and other retailers] at least I can tell my books are getting viewed. What is the general consensus among Smashwords authors? Remove ebooks from KDP? @brickoneil.com - I myself wouldn't remove any books from anywhere that's not costing me money, or restricts my ability to sell where I need to. Are you in Scribd and Oyster? Are you getting your views info from Scribd? They have really good info, including if folk read 10% into your work, then later past the 30% mark later, etc. Brickoneill, and anyone else up for challenging Amazon, I'm proposing a piece of passive resistance to Amazon. If you take a peek at my recent blog posting - unpublish and be damned - http://raysullivanscifizone.blogspot.co.uk/2014/08/unpublish-and-be-damned.html - I'm suggesting that if enough self published authors unpublish their titles from KDP for a week at a time then maybe, perhaps, Amazon might listen to us. It's a truly reversible process but5 will only be effective if enough play along. I'm still waiting on payment of paperbacks they sold over 5 yrs ago. - I called corporate and send an email to everyone I could find. No response. I asked for the account to be deactivated and my books returned. Didn't happen. I asked for the books to be destroyed. - They are still for sale - still no check in my mailbox. - For that reason, I will only deal with Amazon through a distributor. They can at least get a meeting as oppose to me not getting a response. The drought on Amazon is going to continue as they've just launched Unlimited in the UK, one of the other large eBook countries. I suspect it is also impacting on other retailers, too, as consumers don't need a Kindle to take advantage of the free trial. Mark would be able to comment on how the promotion has affected the market. I suspect the staggered roll-out is a cynical attempt at depressing competitors sales for as long as possible. Canada and Australia will probably be next. New to smashwords but I'm looking forward to having my work distributed on a broader base then before. I've set up a website www.davidrattler.com with a comment section and would love your comments and questions. My first book is pending approval and should be available soon. This group is for review/royalty back scratchers on Goodreads,pretty sure it is against Amazon TOS. Pauline, that's definitely bad practice. Review swaps look bad to discerning readers who judge the quality of a book based on honest reviews. I've seen too many discussions on Amazon where customers are upset by this kind of thing. Yes it certainly is bad practice Ruth Ann. I am appalled that Indie authors are taking part in this. I took a look at some of this group's book reviews and there are no shortage of 4 and 5 star reviews. I dare say most of them are from this group's members. A large number of the books are short stories, or rather full novels split into parts to no doubt increase royalty payments. Indie authors have a bad enough time as it is without these sort of shenanigans going on. Amen on all your points, Pauline! This is the stuff that makes indies look bad. Amen! I have said for the longest time that amazon are nothing but money hungry they hold the power an with so much greed they will eventually fall and fall hard. I refuse to buy the unlimited if I wanna read a book I'll buy it that simple. I refuse to give Amazon that control.